One day last week, Macau cafe owner Alberto Chan sold just two cups of coffee. Like many businesses in the Chinese territory, Chan’s small cafe is feeling the chill of an economic slump. An afternoon stroll through an old neighborhood in the city these days can be downright eerie. The main squares are deserted, and about a third of the shops along one short road are shuttered and plastered with “for rent” signs. These are gloomy times in Macau, a tiny special administrative region of China. The city’s economy shrank by a whopping 20% last year as its main industry — a huge, glittery casino sector that dwarfs Las Vegas — took a major hit from China’s anti-corruption campaign and slowing growth. Gaming revenues tumbled 34% last year to a five-year low, according to government data. Casino profits and stocks have taken a battering. What’s more, the 30 million people that visited in 2015 spent far less outside the casinos. Visitor expenditures, excluding gaming, dropped 17% in 2015, said Maria Helena de Senna Fernandes, director of the Macau Government Tourism Office. 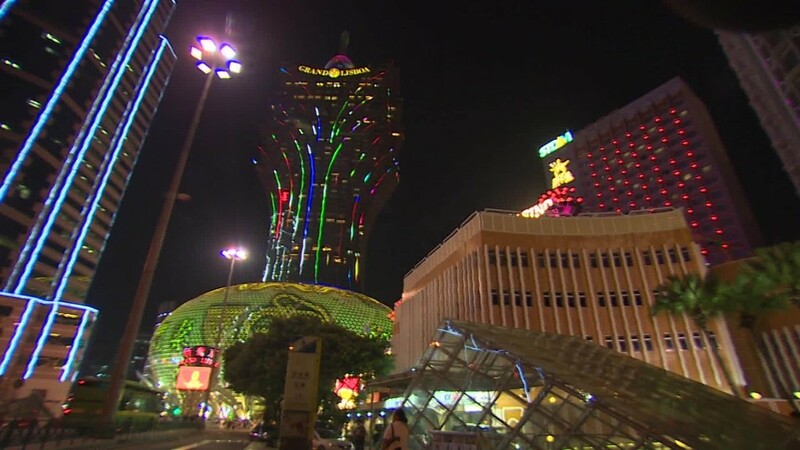 About 60% of Macau’s economy depends on the casino industry, and another 11% on related sectors like shops, hotels and restaurants, said Ricardo Siu, a business and economics professor at the University of Macau. So it’s no surprise that businesses, big and small, are really feeling the pinch. Many shops, cafes, hotels and restaurants have suffered in Macau’s economic downturn. Some have been forced to shutter their doors — even ones in what used to be popular tourist neighborhoods. 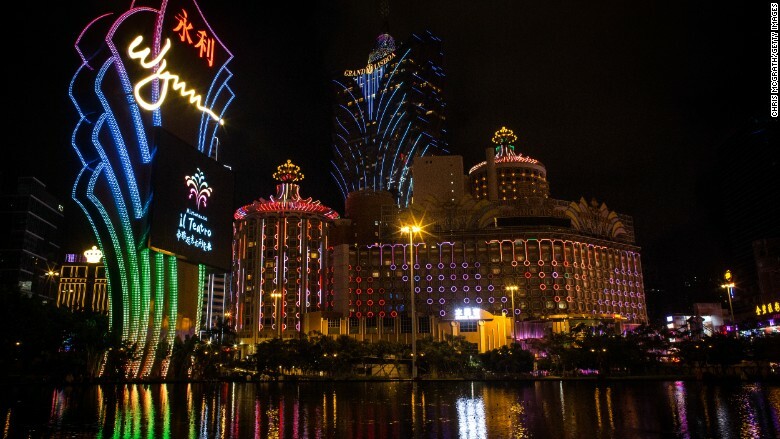 Clustered over a peninsula and island on China’s southern coast, Macau has long been Asia’s smoky, backroom gambling den, with its own fortunes closely tied to the people coming to try their luck at the tables. Its Portuguese rulers legalized gambling in 1847, collecting revenue from the gaming houses that opened up. After more than four centuries of colonial rule, the city was returned to China in 1999. The government continued to promote the casino industry, allowing Hong Kong tycoons and Las Vegas’s biggest players to enter the market. Starting in 2002, a handful of Chinese firms and Vegas icons — SJM Holdings (SJMHF), Melco Crown (MPEL), Galaxy (GXYEF), Wynn (WYNN), MGM (MGM), and Sands (SCHYF) — rushed to open casinos. Hotels, restaurants, and high-end retail shops came next, raking in sales from the Chinese high rollers splashing money around town. As the only place in China where gambling is legal, Macau exploded into a glitzy adult playground. Its casino industry puffed into a $ 45 billion colossus by 2013, roughly seven times bigger than that of Las Vegas. But the vast amounts of money that wafted into the city helped mask what Siu, the economics professor, termed “irregular activity.” Many of the high rollers who spent big on the casino floors were suspected of moving money illegally out of mainland China, where capital controls remain strict. And so China began cracking down on junket operators that recruited the VIP gamblers, reducing the allowed length of stay for mainland Chinese and even limiting the number of gaming tables. The chill was immediate. “We’re talking about the downturn here happening in a matter of months,” said McLaughlan, the hotel manager. Back in 2014, it never crossed his mind to visualize a worst-case scenario for his resort. Now, with fewer tourists coming through, he’s cut room rates by about 30%, but it still hasn’t been enough to attract more customers. 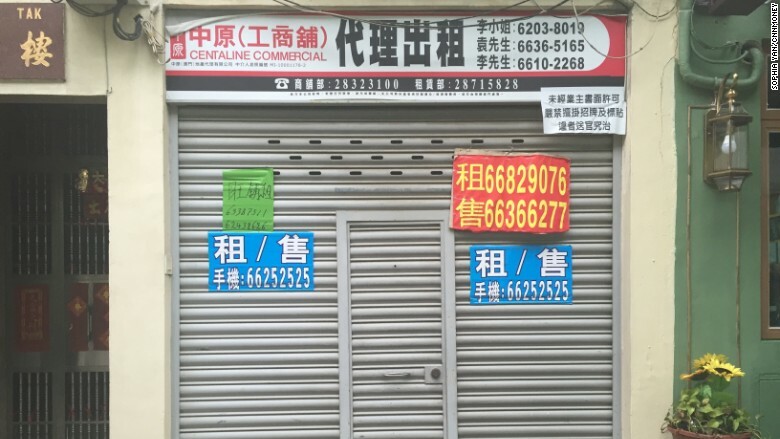 One of Macau’s closed storefronts, covered in “for rent” signs. Macau is struggling to adjust to the new reality. Companies invested during the boom on lavish projects that are still going up. A half-size replica of the Eiffel Tower is nearly finished. It’s one of the attractions of Sands’ new casino, The Parisian, which is slated to open this year. More hotels have launched, and the flood of extra rooms is making a tough market even harder. With VIP gamblers deterred from Macau, it may be years before the city recovers. The hope is that the number of mid-level gamblers will increase enough to offset at least some of the fall in revenue from high-rollers. Casinos have also tried to branch out with family-friendly shows. Tourism booths offer free pamphlets to Macau’s art museums and historic sites amid efforts to portray it as a vacation destination rather than just a gambling hub. But it’s proving to be an uphill battle, analysts say. Some are coping better than others. Fernando’s, a Portuguese restaurant popular with both locals and tourists, has experienced only a small decline in revenues, said owner Fernando Gomes. But across much of the city, there are signs of the downturn everywhere. Macau resident Timothy Ka-Ho Kwok said it used to be hard to book a table at one of his favorite restaurants. Both residential and commercial property prices across the city dropped about 20% last year, said Gregory Ku, managing director in Macau of Jones Lang LaSalle, a real estate firm. Prices at One Central, a high-end residential tower close to MGM and Wynn casinos, have fallen as much as 40%. 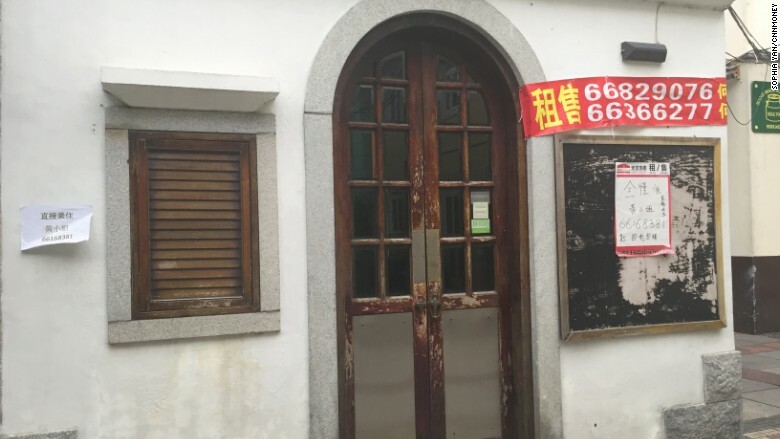 Chan, the cafe owner, decided to open his business early last year, back when nobody was predicting such a precipitous decline. But lately, he’s been taking on side jobs to help cover costs and avoid closing down. “Win or lose, I’m also gambling, to be honest,” Chan said.